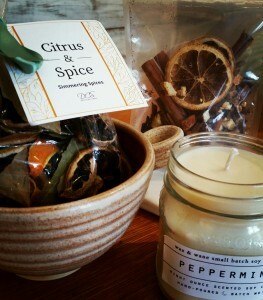 A few great hostess gift ideas – a pottery bowl with handle from Function Pottery (Goshen, IN), Simmering Spices from Dell Cove Spice Co (Chicago, IL) and an all natural soy based Peppermint scented candle from Wax&Wane Candles (New York City, NY). We how Anita from ReFind Originals (Indianapolis, IN) is able to take re-purposed leather and turn it into buttery soft accessories. 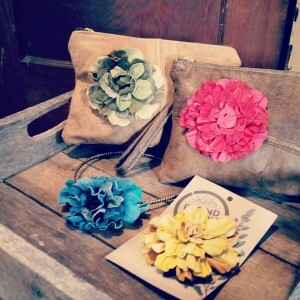 She makes, all by hand, large bags, clutches, headband, leather flowers and much more. Hendersweet is only one of our great jewelry makers. 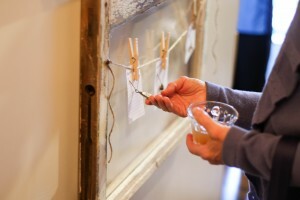 All items are completely made by Amy’s hands in Bloomington, IN. 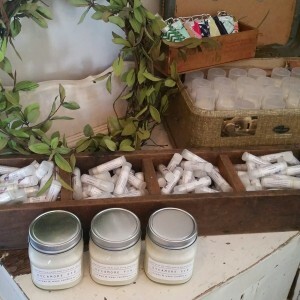 Pure GRACE Soap from Terre Haute, IN makes all natural bath and body care items by hand and in small batch. We are happy to be the only location carrying the full line of products.